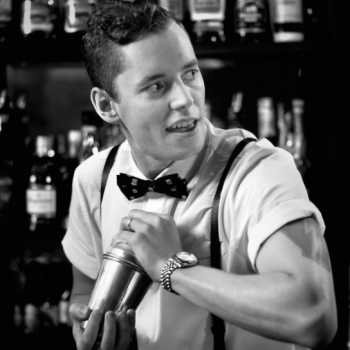 UK retailer Lidl has appointed award-winner bartender Tristan Stephenson, the co-founder of Purl, City hotspot the Worship Street Whistling Shop and bar consultancy Fluid Movement, to beef up its spirits buying team. Stephenson, who is the author of the Curious Bartender books, is set to work alongside the existing buying team as a consultant on the spirits side, advising on NPD and also proving tasting notes and cocktail recipes. “His expertise and insight will work as a guide for shoppers as they navigate the range in-store, making it easier to understand which spirits are best suited to their preferences and the buying occasion,” a Lidl spokesman said. The move echoes Lidl’s use of its consultant MW team – Richard Bampfield MW, Caroline Gilby MW, and Ed Adams MW – to underpin its award-winning Wine Cellar promotions and to give confidence to its consumers, and who have taken an increasing role in selecting the wines both for the Cellar events and some of the core range. Stephenson, who said he had been really impressed by the work of the buyers in recent years, said it was a “really exciting time to be coming on board” and he looked forward to working with the team to develop new and exciting liquids for the range as well as offering advice to customers on what they should be buying, and for which occasions. The discounter has upped its focus on spirits in the last 18 months, translating many of the ideas behind its premium wine offering to the spirit section, as well as adding an extra end-cap bay for spirits which comprised a range that can be rotated according to season. This has helped it scoop wins at recent awards, including Spirits buyer at the International Wine and Spirits Challenge. Despite the ‘brand-dominated’ category, it has seen gains of its craft gin Hortus, and premium Scotch whiskies.